*This is the final post in our blog series on Women, Gender and Pan-Africanism edited by Keisha N. Blain. Blog posts in this series examine how women and gender have shaped Pan-Africanist movements and discourses in the United States, Europe, Africa, Latin America and the Caribbean. 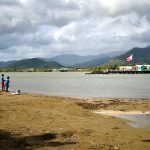 In this post, Sandy Placido places Dr. Ana Livia Cordero at the nexus of Puerto Rican and African American solidarity. 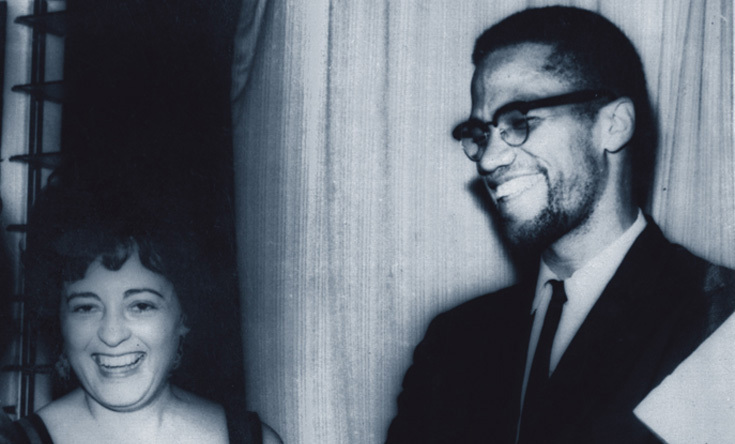 Ana Livia Cordero and Malcolm X, with whom she corresponded (Courtesy of the Schlesinger Library, Radcliffe Institute, Harvard University). In June of 2008, a week after graduating from college, I began a job as a community organizer in Washington Heights, New York. I was working with people impacted by the racialized mass incarceration, immigrant detention, and deportation systems. 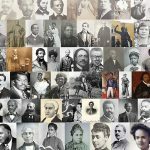 Faced with several challenges as I facilitated connections between criminalized Dominican and African American community members, I visited the archives at the Schomburg Center for Research in Black Culture. I was hoping to find something in Malcolm X’s papers that could inspire the political work, especially since he also worked in northern Manhattan, albeit fifty years earlier. I eventually came across a letter, sent from Ghana in 1964, which passionately advocated African American and Puerto Rican solidarity. The two-page typewritten letter was written by a woman named Ana Livia Cordero, and it set forth a four-level approach for connecting “the Puerto Rican liberation movement” with the “Afro-American nationalist freedom struggle,” movements that Cordero asserted were “intrinsically related” and thus “should work together in common battle.”1 Cordero explained that Puerto Ricans and African Americans needed to unite into a “true liberation movement, that is a confrontation with the American power structure, with American imperialism.” Cordero went further, asserting, “the most important world-wide struggle today is between the colonial and ex-colonial segment of the world and the imperialist segment…This struggle must be waged primarily by the people of Asia, Africa, and Latin America.” Cordero believed that the struggle needed to be reoriented so that it was the people of Asia, Africa, and Latin America who were leading the fight against a global system of imperialism. Ana Livia Cordero (Courtesy of the Schlesinger Library, Radcliffe Institute, Harvard University). Cordero, a Puerto Rican female physician and anti-imperialist activist, dedicated her life to Puerto Rican liberation, and she forged ties with activists throughout Africa, Asia, Latin America, and the United States. She was clear about situating the Black struggle in the United States within an anti-imperialist framework. She insisted that Puerto Ricans embrace their Black, mulato, and Caribbean identity and their link to other Blacks in the diaspora, and she highlighted the role of Asia, Africa, and Latin America in the development of global capitalism. 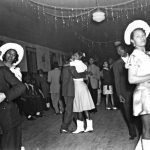 Thus, Cordero’s anticolonial, anti-racist, and anti-capitalist perspective expanded the geographic and demographic boundaries of each of the movements in which she participated during her lifetime. Cordero was born in Puerto Rico on July 4, 1931. Her parents were professors, and her father was also appointed auditor and then comptroller of the island. Cordero graduated from the University of Puerto Rico in 1948, and traveled to New York to attend Columbia University’s College of Physicians and Surgeons. Cordero graduated from Columbia in 1953 and began her residency at Sydenham Hospital in Harlem. It was during her time in Harlem that she met her future husband, Julian Mayfield, a radical African American writer, artist, and activist. In 1954, Cordero and Mayfield traveled to Puerto Rico, where they married and had their first son. They lived on the island until 1958, and during this time, Cordero conducted innovative public health research on maximizing the efficiency of care provision in rural areas. Ana Livia Cordero, Julian Mayfield, and their two children (Courtesy of Schlesinger Library, Radcliffe Institute, Harvard University). Cordero and Mayfield traveled to Cuba in 1960 with the Fair Play for Cuba Committee, where they met the black militant Robert Williams, head of the NAACP in Monroe, North Carolina. Williams was involved in a racial conflict in Monroe in 1961 that forced him and his family to flee the country. Cordero and Mayfield assisted Williams’ family as they escaped, and as a result, they had to leave the country as well. 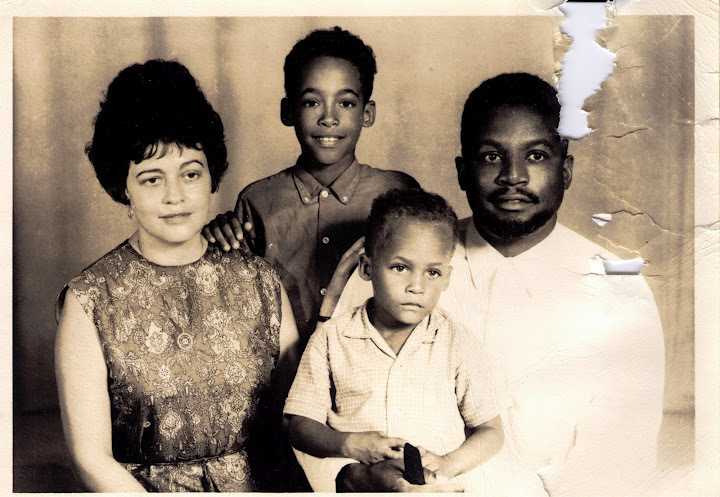 In 1961, while Cordero was eight months pregnant with their second child, Cordero, Mayfield, and their son arrived in Accra, Ghana. 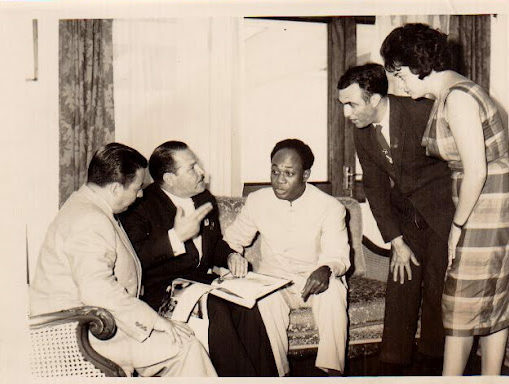 Cordero was hired by President Kwame Nkrumah to work as a researcher at the newly established National Institute of Health and Medical Research. In addition, Cordero was a professor at the medical school, she taught a Medical Sociology class at the University of Ghana, and she ran a clinic for women and children in Accra. During the five years Cordero spent in Ghana, she also saved the life of Maya Angelou’s son (he broke his neck but was initially misdiagnosed), she conducted volunteer medical work in rural settings, and she was W.E.B. Du Bois’s doctor and friend in his final years. This support from the Non-Aligned Movement (NAM) was a major victory for the Puerto Rican liberation struggle, especially since Puerto Rico’s conversion into a commonwealth in 1952 led to the nation being removed from the United Nations’s list of colonized countries. Cordero was able to garner similar support for the Puerto Rican cause at the Afro-Asian Conference in Winneba, Ghana in 1965, and the Tricontinental conference in Cuba in 1966. By insisting on the inclusion of Puerto Rico at the conferences in Egypt, Ghana, and Cuba, and by building with representatives from all three continents, Cordero brought Puerto Rico into the web of global, anti-imperial struggle. 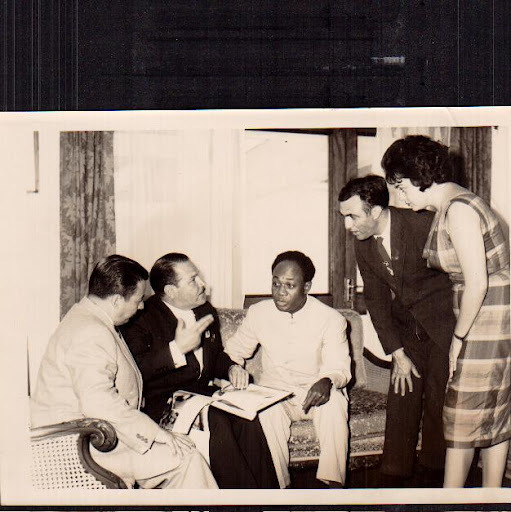 Cordero in a meeting with Kwame Nkrumah (Courtesy of Schlesinger Library, Radcliffe Institute, Harvard University). 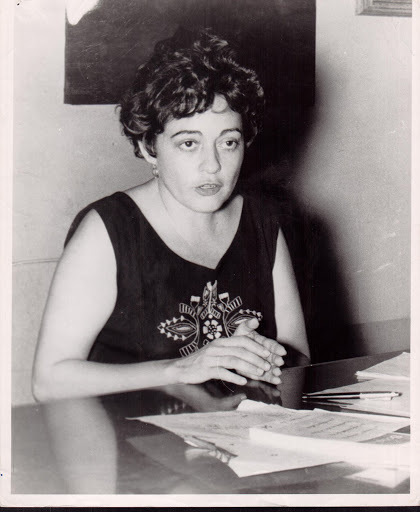 By the time Cordero returned to Puerto Rico in 1967, she was able to manifest her ideas about the practice and process of liberation as the founder and brains behind the Proyecto Piloto de Trabajo con el Pueblo (Pilot Project of Work with the People), an organization that worked with hundreds of people throughout the island until Cordero’s death in 1992. The Proyecto Piloto’s work combined social science, the scientific method, Marxism, popular education, and the arts. 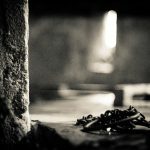 The Proyecto faced extreme levels of surveillance, and after arrests, trials, and the bombing of the group’s home base in Barrio Tortugo, members decided to continue the work at a clandestine level. In the final decade of her life, Cordero dedicated herself to Haitian and Nicaraguan solidarity work, bringing groups of Puerto Ricans to Nicaragua where they exchanged technical and theoretical knowledge with Sandinistas. 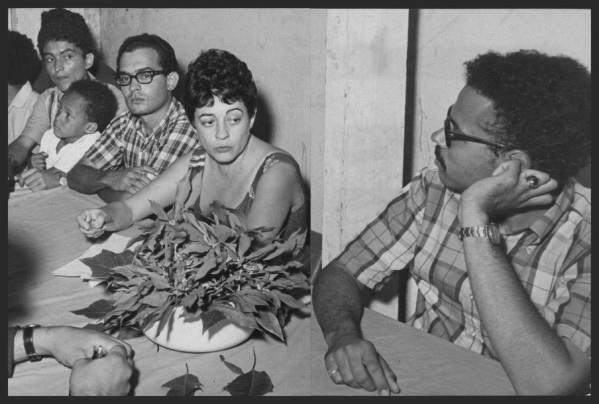 Cordero and Proyecto members at a press conference, following their arrest in February, 1968 (Courtesy of the Schlesinger Library, Radcliffe Institute, Harvard University). Despite Cordero’s accomplishments, she exists on the periphery of historiographies that cover Pan-Africanism, Black Power, Third World solidarity movements, and the Puerto Rican, Latin American, and U.S.-based left.3 These exclusions are heightened by the fact that in many of the political communities Cordero was a part of, she stood out due to her status as a woman, a doctor, and a white-presenting person from the Hispanophone Caribbean. Cordero’s erasure has been particularly conspicuous given that she was a recognized activist and respected doctor throughout her life, and closely associated with not only Du Bois, Nkrumah, Angelou, Malcolm X, and Julian Mayfield, but also John Henrik Clarke, Stokely Carmichael, James Forman, Salvador Allende, and Ricardo Alarcón. Cordero developed insights and implemented strategies that are as relevant to transnational liberation struggles today as they were during the years that she lived. As a Puerto Rican female doctor who traveled widely and maintained relationships with prominent leaders throughout the African diaspora, she had a keen understanding of the ways that racism and imperialism intertwined. Her global perspective and activism speak to the tensions and solidarities that continue to evolve in Afro-diasporic communities. A greater awareness of Cordero’s life will contribute to the bridges that need to be built and strengthened between Black, Latinx, African, and Latin American studies and communities. 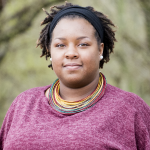 Sandy Placido is a currently Predoctoral Fellow in the Department of Africana Studies at the University of Pennsylvania. Her dissertation, “A Global Vision: Dr. Ana Livia Cordero and the Puerto Rican Liberation Struggle, 1931-1992,” offers a social biography of Ana Livia Cordero. Follow her on twitter at @LaSandyPlacido. Sandy Placido is a Visiting Assistant Professor of History at Oberlin College. She completed a PhD in American Studies at Harvard University. Her dissertation, “A Global Vision: Dr. Ana Livia Cordero and the Puerto Rican Liberation Struggle, 1931-1992,” is the first, in-depth study of Ana Livia Cordero, a Puerto Rican female physician and anti-imperialist activist. Follow her on Twitter @LaSandyPlacido. Thank you. I had no idea of her involvement, but now I know.